House of Diehl has done it again. Came up with an item that is so out there that you have to have it. House of Diehl has launched one of a kind, hand made breakers. 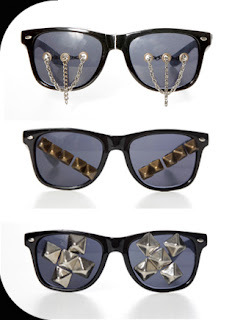 This new eye wear line is statement making more than functionality. Studs, mosaic and disco are just some of the breakers you can pick up off their site. If you are new to House of Diehl they also produce unique, fashion influenced events that engage the music- interested crowd. 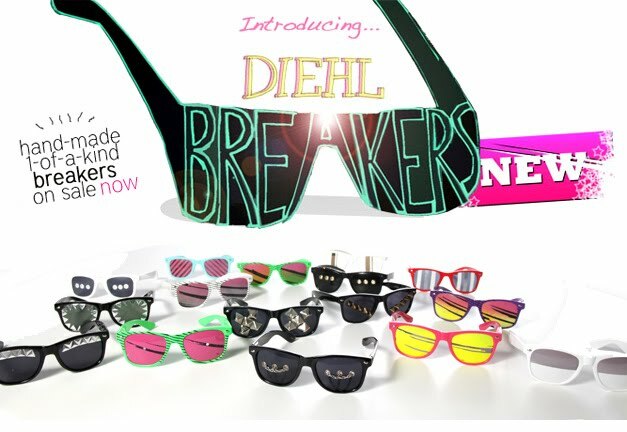 You can scoop a pair of these from $49-$129 on their site.Diehl is so generous they are offering a free pair of glasses if you email them a pleading, yet witty email. Get your pens out PrivyDolls!